More striking than the general uptick in numbers, however--most of that increase represents patients between the ages of 60 and 89 years old, the majority having cancer--is the fact that in the years 2016 and 2017, three children also opted in to legally assisted suicide. CNN reported that shortly after the first child was killed under the expanded age laws (in 2016), Belgian senator and supporter of euthanasia Jean-Jacques De Gucht said, "I think it's very important that we, as a society, have given the opportunity to those people to decide for themselves in what manner they cope with that situation." Since that time, it is reported that two additional children have consented to having their lives taken. But some are asking whether a child is even capable of rationally making such a choice. Since the release of the report this week, some of Belgium’s legislators have expressed concern about the contents. Crossbench peer Lord Carlile told the Catholic Herald that he was “profoundly shocked” not only by the children who’ve died, but also by the skyrocketing rates of euthanasia in general, which have increased nearly tenfold since assisted suicide was first legalized in Belgium in 2002. “The euthanasia of those children is plainly contradictory of the European Convention on Human Rights,” Carlile said. Only three countries in Europe presently allow for euthanasia: Luxembourg, the Netherlands, and Belgium. 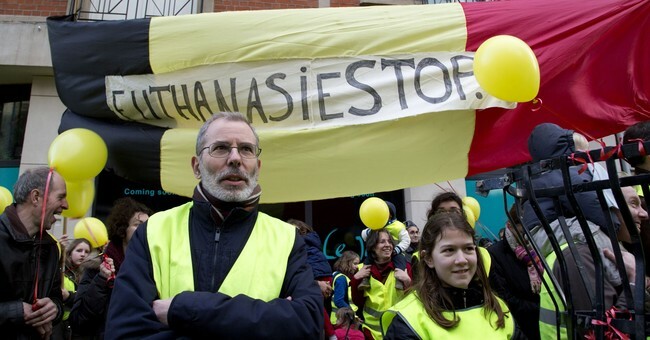 The Netherlands also permits children (though only over the age of 12) to obtain a legally assisted suicide. Belgium has no age restrictions. If the recent report coming out of Belgium is any indication, those concerns may not be so unfounded.